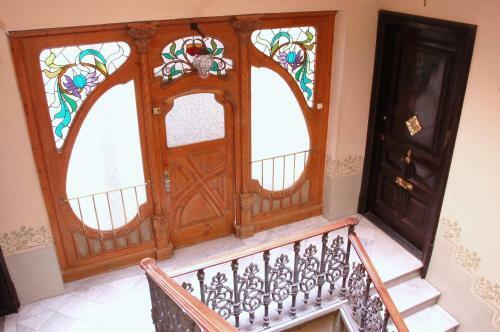 Set in an attractive Modernist building, apartments have tiled floors and high ceilings. 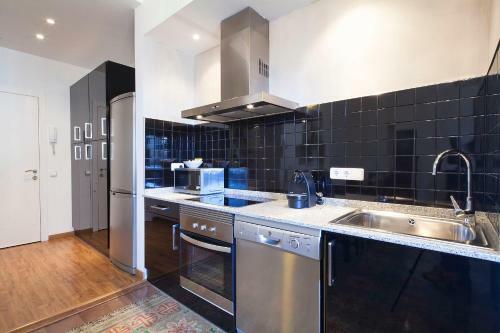 Each one has a modern kitchen with an oven, washing machine and dishwasher. There is a Nespresso Coffee Machine, and free capsules are provided. All have free Wi-Fi, a flat-screen and DVD player. Bed linen and towels are provided. There are plenty of bars and restaurants within a 2-minute walk of the apartments. 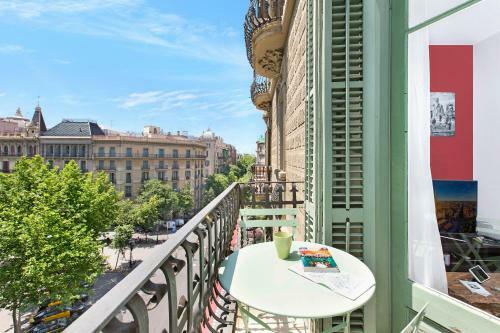 Central Suites Barcelona is just 400 metres from Plaza Catalunya where you can find regular buses to Airport; and a 5-minute walk from Ramblas. 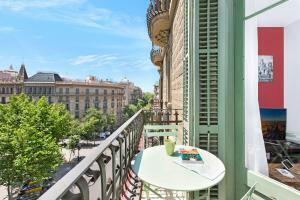 The closest metro station is Passeig de Gracia, 2 minutes’ walk from the apartment. This spacious and quiet apartment offers 1 double bedroom and 2 bedroom with 2 single beds. The kitchenette is equipped with a dishwasher, oven, and kitchenware; while the bathrooms come with free toiletries and hairdryer. There is a washing machine and cleaning products are provided. 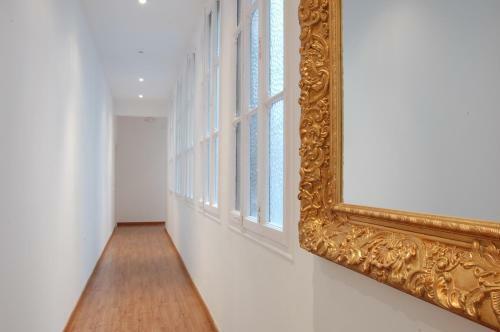 Rate: € 196.00 ... € 300.00; select dates below to get current rates. Featuring a balcony with city views, this bright apartment offers 1 double bedroom, a bedroom with 2 single beds, and a sofa bed in the living room. The kitchenette is equipped with a dishwasher and a microwave, while the bathroom comes with free toiletries and hairdryer. Bed linen and towels are provided. Featuring a balcony with city views, this bright apartment has 1 double bedroom, and a bedroom with 2 single beds. The kitchenette is equipped with a dishwasher and a microwave, while the bathroom comes with free toiletries and hairdryer. Bed linen and towels are provided. Rate: € 248.00 ... € 350.00; select dates below to get current rates.